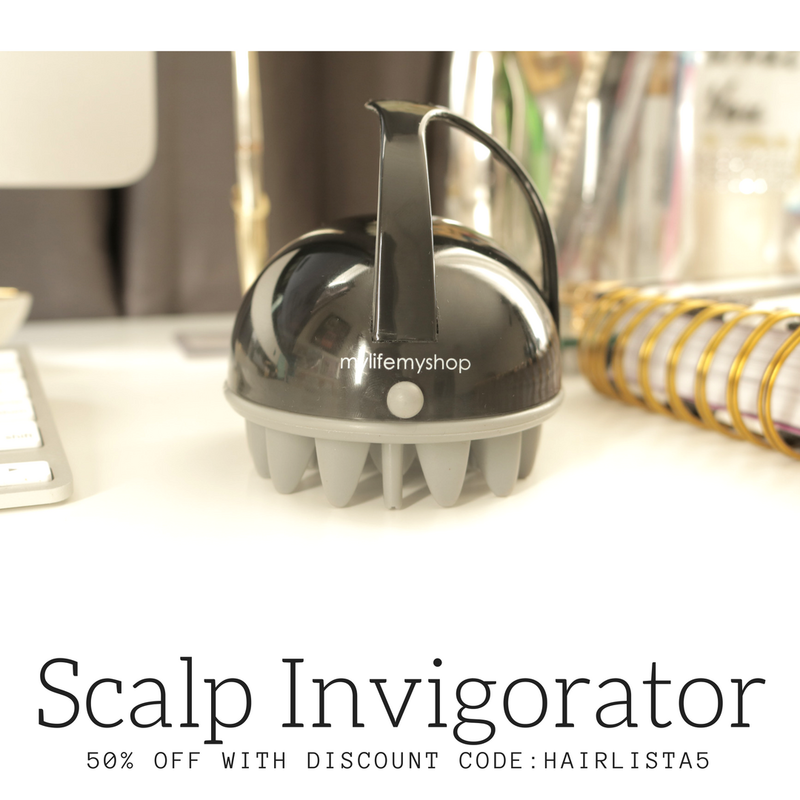 September 2015 - Hairlicious Inc. Winners must be 18 and older and in the continental US. No purchase necessary to win. 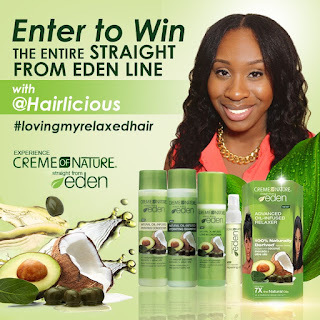 Three (3) Lucky Winners Will Be Selected (by Random.org) & Announced On HairliciousInc.com! Introduce yourself! what's your name? where are you from? My name is Lakevia Rogers. I'm from South Carolina. How would you describe your hair? What's your hair type? I've been relaxed pretty much all of my life. My hair is currently a little past mid-back length and my hair type is 4B. When did you start your relaxed hair journey? 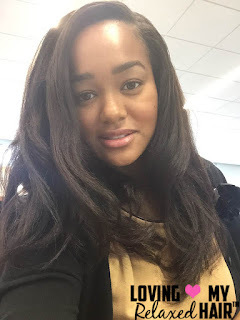 What is your hair regimen? Share a few of your "go-to" hair products. I started my relaxed hair journey in 2012 when I was a little past shoulder length. Throughout the years, I’ve had a few set backs due to prescription medication, pregnancy and just simply trying to find the right products for my hair. My current regimen is pretty simple. Right now I use Mizani Butter Blends relaxer and my hair has loves it. 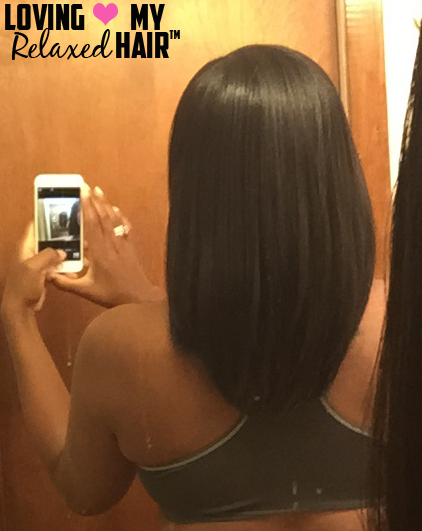 I only trim my ends after I relax, which is about every 12 weeks. I've been sticking to the whole Pantene for Relaxed and Natural product-line, which I find is good for my textured hair. I'm not one of those ladies who co-wash every other day or twice a week. I do not co-wash at all because I feel like my hair isn’t clean when I do it. I only wash once a week and sometimes every other week. I clarify my hair every single time I wash. I follow up with a moisturizing shampoo by Pantene as my last wash. Secondly, I use my Pantene for Relaxed Hair Moisturizing Conditioner - this portion of my regimen changes according to my hair needs. Sometimes I use my Pantene Moisturizing Conditioner or I'll do a deep condition. I like to mix conditioners together or I use my Shea moisture deep conditioner and let it sit for at least an hour under a hooded dryer for better penetration. Finding that balance between moisture and protein has always been a challenge for me. I do a protein treatment once a month using either the Aphogee 2 min Reconstructor following a moisturizing conditioner or I'll use the Organic Root Stimulator Olive Oil Hair Masque. I typically detangle my hair, with a wide tooth-comb, while rinsing out my conditioner. 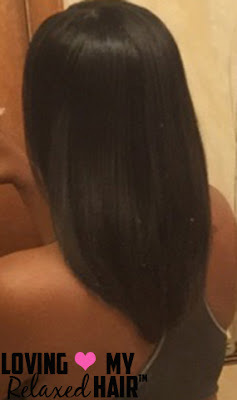 Occasionally, if my scalp is very itchy/flaky, I’ll do a hot oil treatment using Grapeseed oil, Coconut oil, Extra virgin olive oil and Peppermint oil before I wash my hair for at least an hour, once a month. After I’ve washed and conditioned my hair, I either towel dry or t-shirt dry for about 10 minutes. Then, I either blow dry on low heat or air dry. I haven't used a flat iron in over a year. Before I apply any heat to my hair I always apply a heat protector along with my leave-in conditioner. 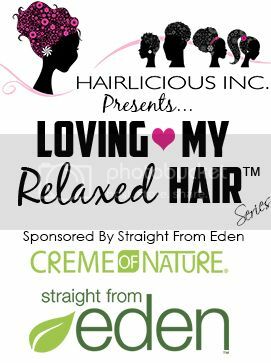 For the first month of my relaxer, I like to use a light weight leave-in and as I stretch my relaxer I use a thick leave-in conditioner. I then apply a small amount of my oil mix i.e. grape seed oil and extra virgin olive oil, to my hair. Last but not least, I'll apply a little moisturizer made by Pantene then I begin my protective styling. My “go-to” protective style consists of a part down the middle of my hair with two (2) braids down the side. It’s very simple. I wear this particular style because it's low maintenance and should I choose to wear it out, it leaves a very pretty wave pattern that only has to be finger combed. I moisturize and seal maybe twice a week but I always mist my hair daily with water and a little bit of glycerin. I apply a little bit of oil to my ends. I tie my hair up at night using my satin bonnet. What #1 hair tip you would pass on to other relaxed haired ladies who are starting their hair journey? For ladies who choose to remain relaxed, my number one tip for you is to not get discouraged or impatient. Everyone’s hair grows at a different pace. As long as you're moisturizing and sealing and, most of all, protective styling - you too will retain healthy lengths! Nowadays it's becoming more uncommon to see relaxed hair or products geared towards relaxed hair. Do you feel the pressure to go natural? Why or why not? What are your thoughts on the natural hair movement? So as far as feeling the pressure to become natural, I don't think that will be happening any time soon. I love, love, love natural hair and I love my natural coils. I love feeling them when my new growth comes in; however, I just choose to remain relaxed. Why do you choose to remain relaxed while many are transitioning back to their natural hair? With my hair being so thick, with very tight coils, it's just easier for me to manage it while it’s relaxed. I believe that if you are relaxed, you should love your relaxed hair! Find some good products that your hair loves and trust me, your hair will let you know whether or not it likes a certain product. 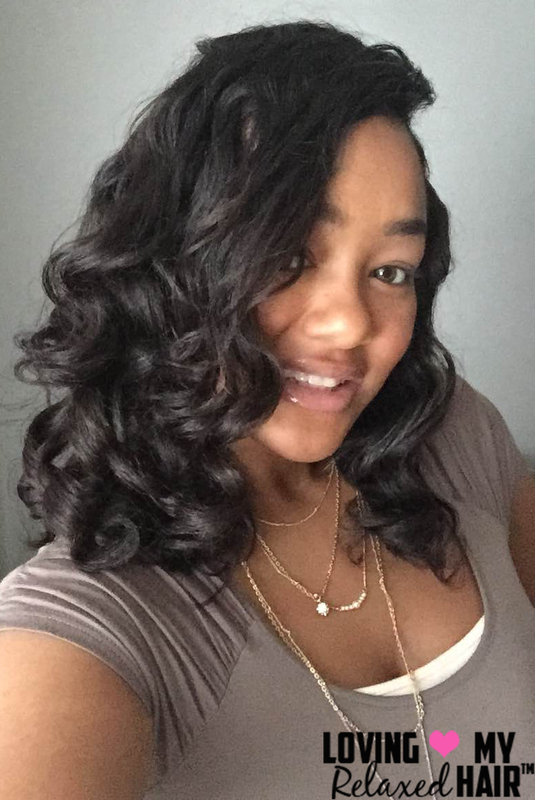 Stick to a good regimen and let your hair do its thing! What do you absolutely love about your relaxed tresses? And why? Some areas of my relaxed tresses are a little kinkier than others due to some under-processing. 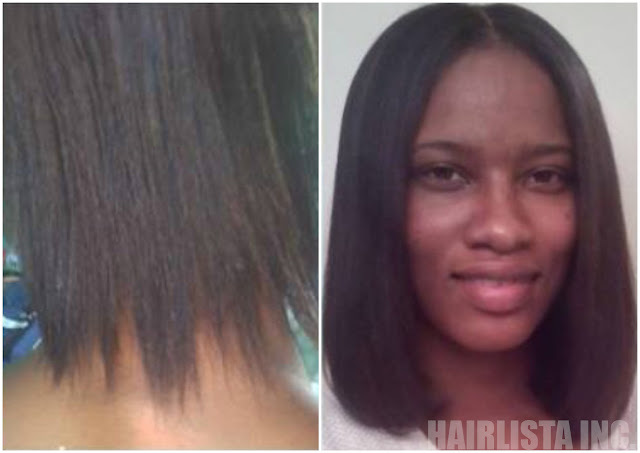 I don't mind the areas that are under-processed because it gives the appearance of a natural look with looser coils. 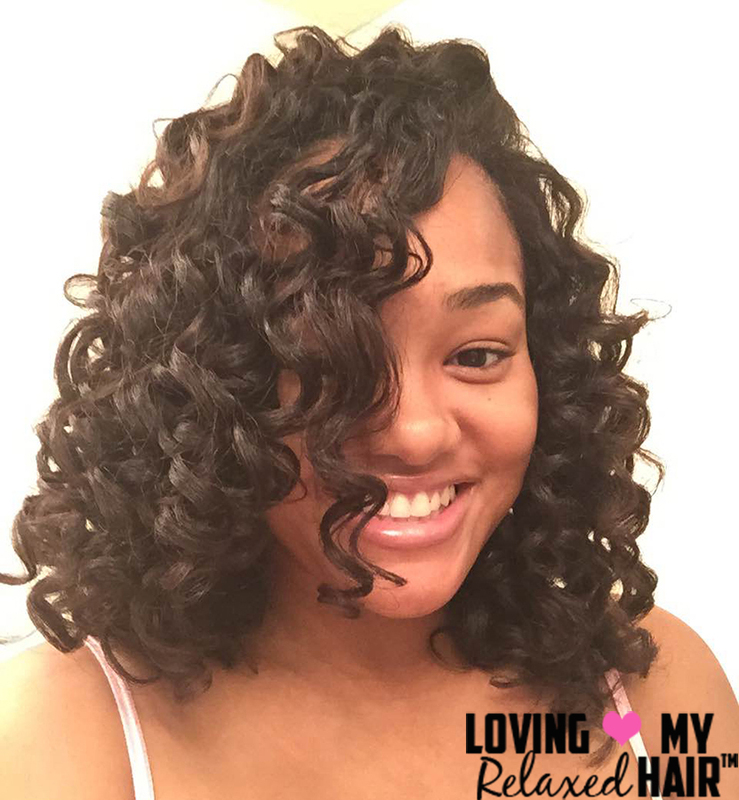 The versatility without all the extra maintenance, is what I love about my hair! If you're a planner addict like me, let me know which planner you use and love??! 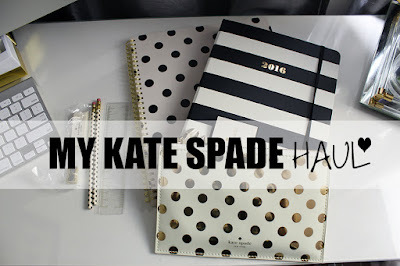 In the meantime, check out my unboxing/first impression video! I'm A Guest Blogger on TropicIsleLiving.com - OMG! In case you missed it, Tropic Isle Living extended an amazing opportunity for me to be a guest blogger on Tropicisleliving.com. It was truly an honour! 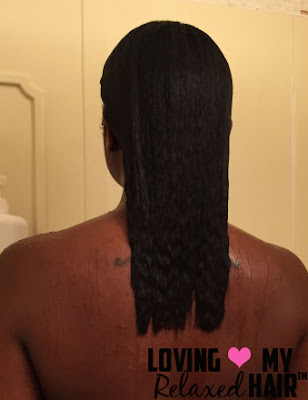 And of course, I had to share my huge love affair with the lovely Jamaican Black Castor Oil! Be sure to check out the full article below on how I was first introduced to Tropic Isle Jamaican Black Castor Oil and why my hair LOVES it sooo much! 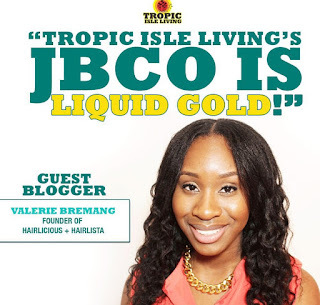 Article: Tropic Isle Living's JBCO Is Liquid Gold! Castor Challenge Part 10: Got My Castor Oil Ready! 1) Applying Castor oil to my scalp every other day followed by scalp massage (2-5mins focusing on damaged areas). 2) Adding 1-2 tsps to your weekly deep conditioner. 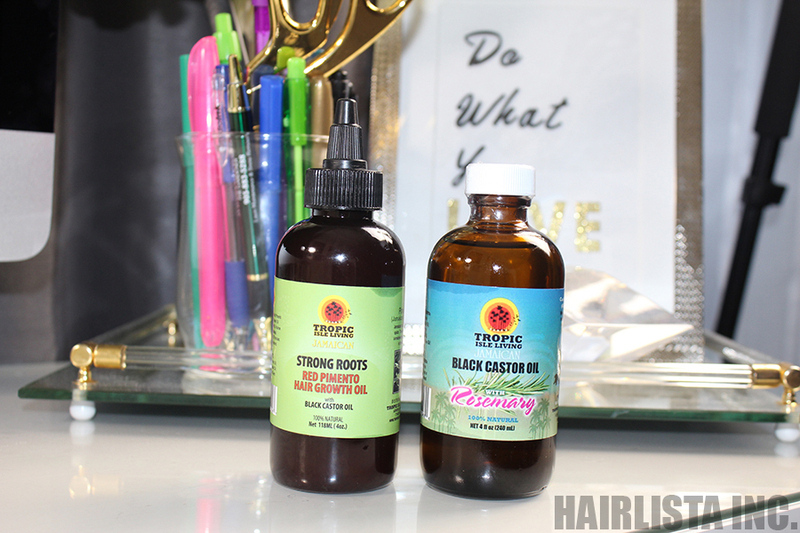 I plan on using the Tropic Isle Living Jamaican Black Castor Oil with Rosemary every other day in my scalp (the scent is not too strong) and I'll use the Tropic Isle Living Strong Roots Red Pimento Oil in my deep conditioners and on my scalp for 20 minutes 1-2x/week. Simple! Are you in the Hairlista Inc. Castor Oil Challenge? What level are you in? See you in the challenge! My name is Charmaine Love and I am a 3rd grade teacher in South Dakota, originally from Olathe, KS. My hair is very thick but soft. I have 4a type hair. 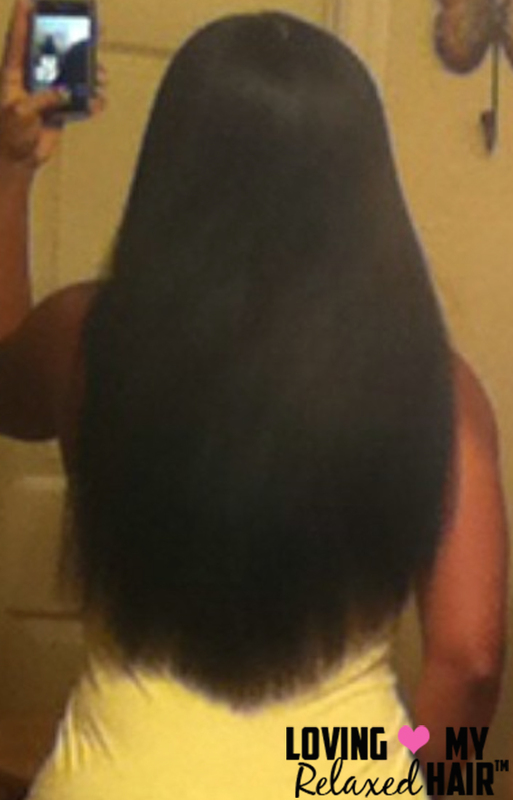 I started my relaxed hair journey in December 2010. March of 2013, I decided to go natural after I had a setback. After 18 months, I was fully transitioned to natural. However, December of 2014, I decided to go back to relaxing my hair. Being natural was great but I absolutely loved being relaxed. My regimen/staple products consist of getting a salon relaxer every 16 weeks with Affirm FiberGuard Sensitive Scalp. I used to self relax but I have found a trustworthy stylist that understands my hair needs. I do a hard protein treatment every 6-8 weeks with the Aphogee Two Step Treatment. My wash routine is done weekly. I always do a hot oil treatment with Jamaican Black Castor oil (JBCO) and Coconut oil mix. I usually let that sit on my hair for about 20 minutes with a plastic cap or overnight depending on how dry my hair is in this South Dakota weather. Next, I wash my hair with a shampoo of my choosing. I do not have a staple shampoo at the moment. I follow up with a deep conditioner such as Affirm 5 in 1 reconstructor or Keracare Humecto Creme Conditioner for at LEAST 30 minutes or longer. I alternate between the two in order to keep my moisture/protein balance in check which is key in my regimen. Next, I apply my leave ins, air dry 70%, moisturize and seal, and then I proceed with a low manipulation style. I apply heat to my hair only if there is a special occasion. Other than that, my hair remains heatless in low manipulation styles. I moisturize with Elasta QP Olive Oil and Mango Butter and seal with JBCO at least 4 times a week. I also wear a satin bonnet at night. Very early in my journey I rarely would get trims. After I transitioned, I would routinely get my hair cut to maintain the health of my hair as well as to help me transition quickly to natural. Now that I am relaxed, I do not need to cut as much because I keep my hair in low manipulation styles and moisturize and seal on a regular basis which is huge in my book. I always trim every three months like clockwork. This too is done by a trusted stylist who trims what needs to be trimmed. A lot of ladies are afraid of losing length but I would rather cut dead split ends to have full healthy hair. My goal is health over length. My goals and focus this time around is different. Health over length! The length will come. Patience and consistency are key! I do not feel the pressure to be natural. When I initially decided to transition, it was because of a setback as I had previously mentioned. My setback was due to my own laziness. I was no longer consistent with my regimen and I began to experiment with color. I also applied alot more heat to my hair than my hair was used too. Bad hair practices led me to my decision of transitioning. When I decided to transition, I was open to the idea of either staying natural or possibly relaxing again. In the end, I did what I felt like was best for me and my lifestyle. 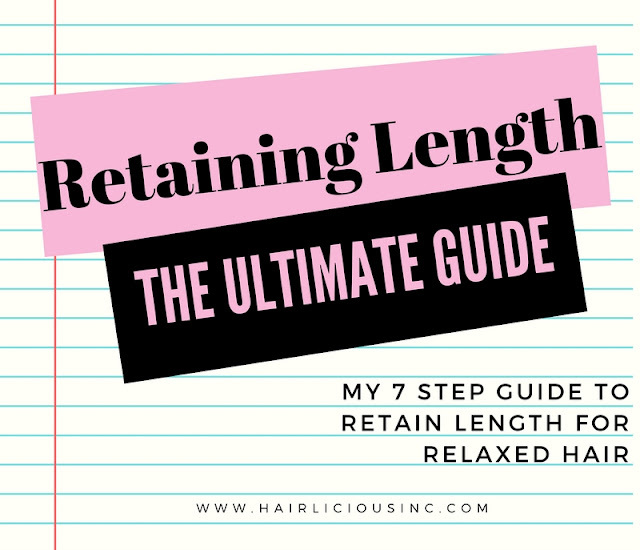 I do feel that because of my decision to start relaxing again, I often find myself having to justify or defend my reasoning for being relaxed all the time to other naturals. A lot of people are often surprised that my hair is in the health that it is in and I am relaxed at that. I feel like relaxed or natural you can have healthy hair. You have to do what works for you in terms of your lifestyle. It was a matter of preference for me. Overall, I think it is great that African American women are embracing their natural hair more and shying away from the weaves and taking the time to actually grow their own hair. For many years, there has always been a stigma attached to African American women and their inability to grow their own hair. 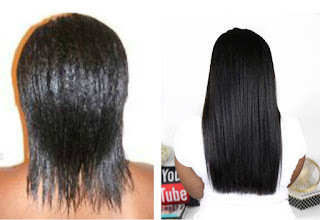 Natural or relaxed, with the proper routine and haircare products, long and healthy hair can be achieved. When I was natural, I always applied heat to my hair in some form. Usually it was the blow dryer and then I would bun my hair at least twice a month. It was so thick and there was so much hair to deal with. Even though my hair was thriving I missed airdrying my straighter hair without having to alway use a blowdryer to do one of my go to buns. I tried the wash and goes, etc. When it came down to it, I missed my straighter texture of hair. It was really a matter of convenience for me. This was something that was routine for me already being previously relaxed. The manageability!!! 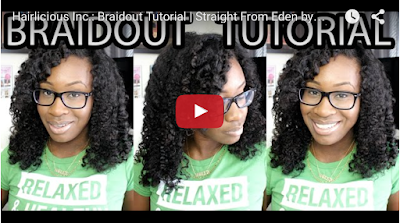 I feel like I have so many options being relaxed from bantu knots, buns, braid outs to the bone straight look. I also miss the roller wraps! 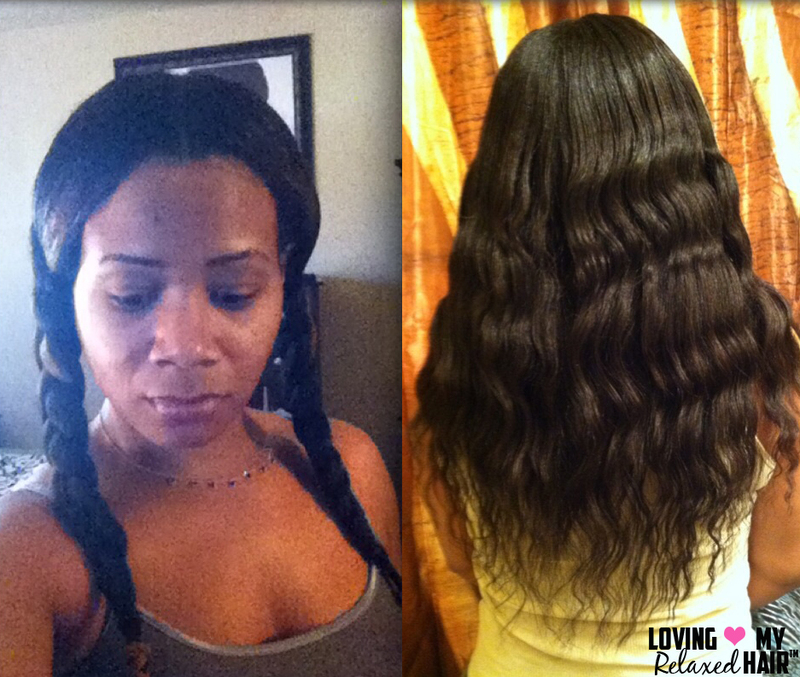 I can virtually have a straight or curly hairstyle with minimal to no direct heat applied. 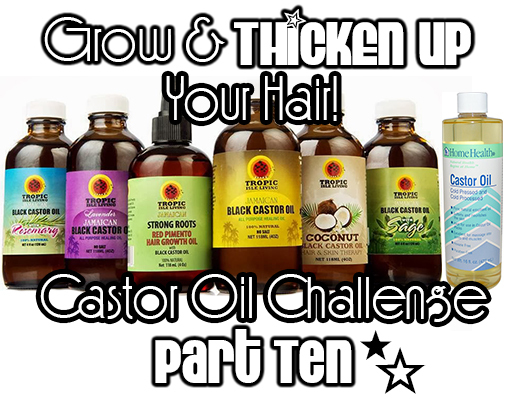 Video: Castor Oil Challenge Part 10 | 3 More Days! Only 3 days left! 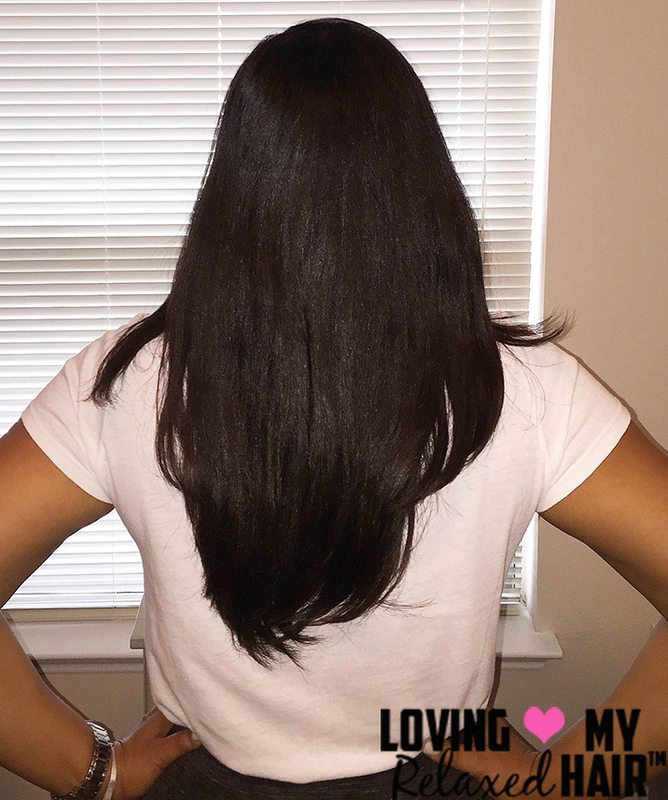 Be sure to head over to Hairlista.com to join the Castor Oil Challenge! All the details and challenge level information is posted. 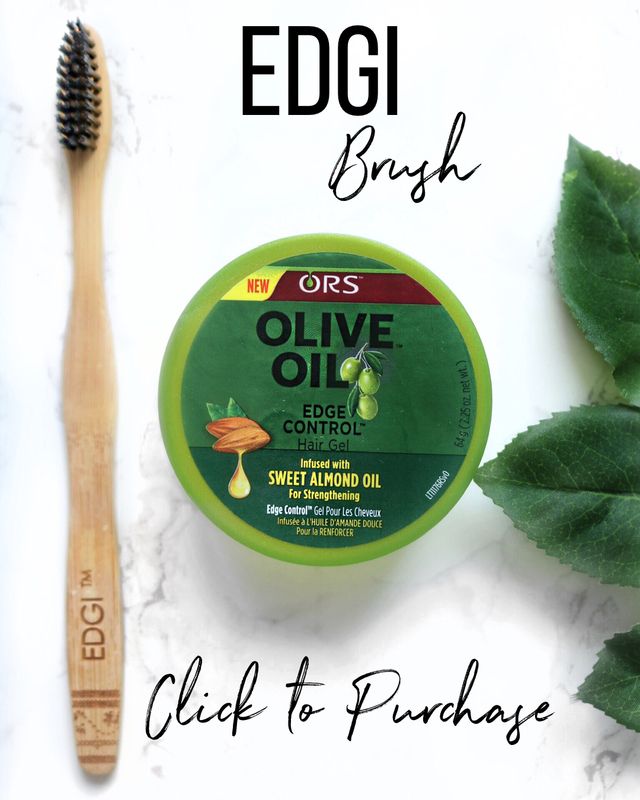 Part 10 is the "special edition" as participants are now able to use a large variety of Castor oil based products, not just 100% Pure Castor Oil. In addition, there are a total of 5 levels that participants can join i.e. Basic, Intermediate, Advanced, Extreme and Ultimate! A lucky winner will be selected based on "most improved" hair i.e. 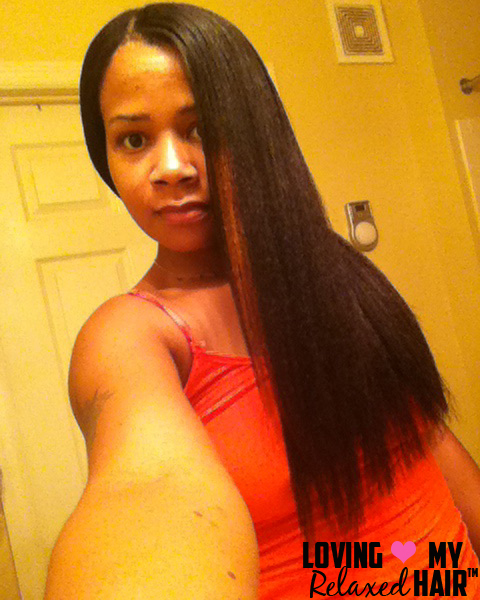 increased thickness or increased length. Be sure to take before and after photos for comparison purposes. Good luck and I'll see you in the challenge!! 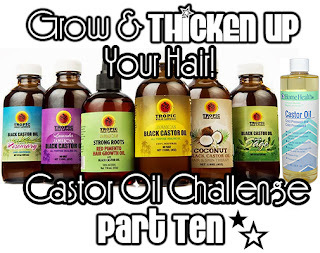 Join the Hairlista Inc. Castor Oil Challenge Part 10 Now! My name is Melissa and I live in Houston, TX by way of NYC and Atlanta, GA.
My hair is very thick but soft, and type 3. I started my hair journey in December 2012 after a visit to the salon for a trim turned into a choppy cut. I try to keep my regimen pretty simple: Firstly, I relax twice a year...I wash my hair once a week starting with a prepoo, followed by a DC, finished off with a cold water rinse and application of my leave-ins. I follow a strict moisture/protein balance alternating between moisture prepoo/light-to-hard protein DC’s and medium protein prepoo/moisture DC’s (using my hair steamer). I moisturize and seal nightly being sure to always wear a satin scarf or bonnet to bed. I use Design Essentials Natural Daily Moisturizing Lotion and seal with an oil mix I made of Extra Virgin Olive Oil, Jojoba Oil, Sweet Almond Oil, Avocado Oil, and Vitamin E Oil. A few of my “go-to” hair products are ORS hair mayo as my medium protein that I use as a prepoo. This conditioner yields great results every time leaving my hair moisturized and strengthened. Nexxus Emergencee is another staple of mine. Over the course of 10 years, this hard protein treatment has always brought my hair back to life after every setback. Lastly, cold pressed 100% pure macadamia oil has been getting me through the humidity in Houston. I apply it to my hair as the last leave-in on wash day, and it prevents frizz, keeps my hair moisturized, but most of all it cuts my drying time in half. Low manipulation hairstyles are key! Style your hair once a week on wash day in a style that requires little to no daily combing/brushing. This prevents breakage, excessive shedding, and just gives your hair a chance to flourish. 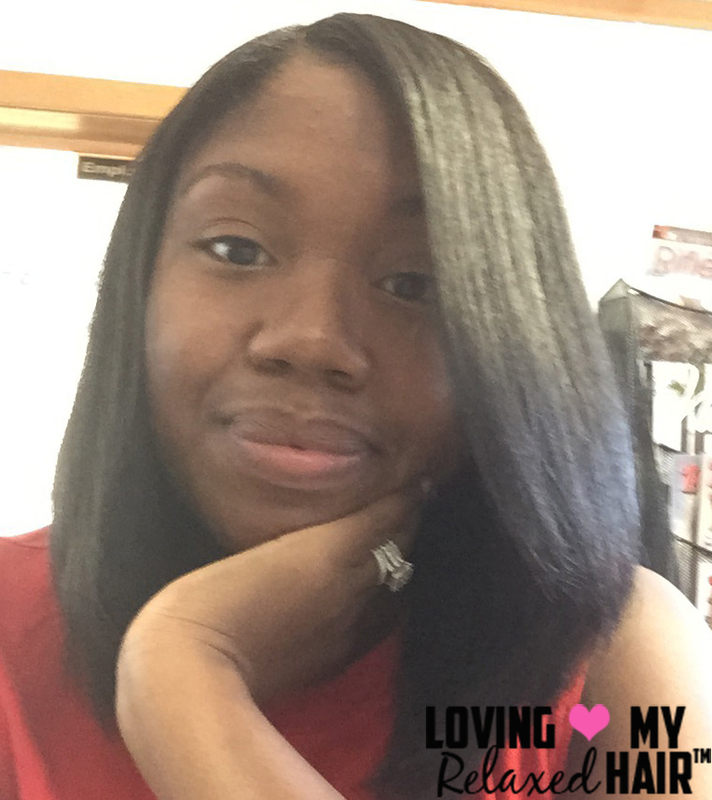 Once I started keeping hair tools out of my daily regimen, I really noticed a difference in the health of my hair. I don’t feel the pressure to go natural per say, because I know what works for my hair in terms of my lifestyle. However, I do find that I am defending my decision to remain relaxed more often than I would like to. The majority of products I use now are geared towards natural hair, but as long as my hair likes it, I am unbothered by the marketing tactics. I honestly feel like the natural hair movement is great from the standpoint of getting African-American women to invest more in caring for their own hair rather than spending hundreds of dollars on weave bundles. I’ve always loved to see women in my community strutting their stuff with hair they took the time to grow and care for themselves. Whether natural or relaxed, it’s all about maintaining the health of your hair. Natural hair doesn’t automatically equate to healthy hair. I have A LOT of hair! My natural texture gets really dried out and frizzes up easily. 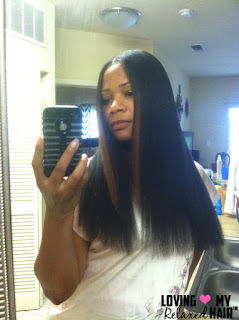 Being relaxed offers me the ability to keep my thickness tamed making my hair more manageable for me. I exercise a few times a week i.e. run on trails, and I could not see myself washing my hair multiple times a week which would be required for my natural texture. If I were to transition back to natural, I would probably be addicted to direct heat styling tools, and my curl pattern would still be altered as with a relaxer. So, I choose to remain relaxed and limit direct heat usage, and it’s been working out quite well for me and my hair! I absolutely love the versatility and manageability of my relaxed hair. I can rock any style I want depending on my mood because it doesn’t take much time to prep and style. From bone straight, to straight with body, curly to wavy, to just a smooth blow out look, the options are endless. Loving My Relaxed Hair™ + @CremeofNature Straight From Eden = GIVEAWAY!! Hey guys! I have some exciting news to share with you!! The first giveaway will be held at the end of September. Stay tuned for more info & how YOU can enter! From Thin to Thick - Happy Healthy Ends Featuring: ShanaKay! How long have you been relaxed? I have been relaxed for twelve (12) years. What is your current regimen? How often do you relax? 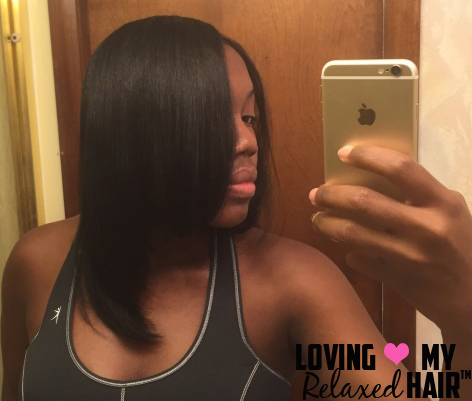 What relaxer do you use? My current hair regimen consists of moisturizing and sealing every three days, co-washing, deep conditioning, and shampooing whenever it's needed. I only use a comb on wash days. 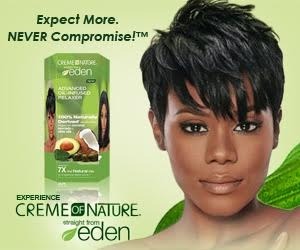 My relaxer is Mizani Rhelaxer fine/Color Treated and I only relax my hair every 4-5 months. What products are you currently using on your hair? Co-wash(WEN), Shampoo(Creme of Nature sulfate free shampoo), Conditioner(Aussie Family Smooth'n Bloom Conditioner), Deep conditioner (One 'n Only Argan oil Hydrating mask), Leave in conditioner (Mizani True Texture curl soft leave-in creme), Hair moisturizer (mixture of Herbel Essences Hello Hydration, Vegetable Glycerin and Water) Protein Treatments( Aphogee Two-step Protein Treatment) Oils (Coconut oil, One'n only Argon Oil). I noticed your ends got reasonably thicker based on your progress picture! It's beautiful. Please explain in detail what you did differently to increase the thickness of your ends? Did you discover what you were doing wrong? When I started my hair journey my crown area was texlax and the rest of my hair was bone straight. I would always try to correct my crown area because I didn't understand why it wasn't bone straight. 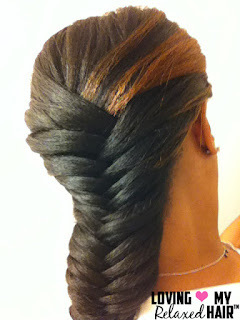 I later found out that my crown area was thicker then the rest of my hair and as a result of that my hair was thinning. I decided to texlax my hair while trimming off the bone straight ends. I also kept my hair in protective styles - taking it down every three days to moisturize and seal. 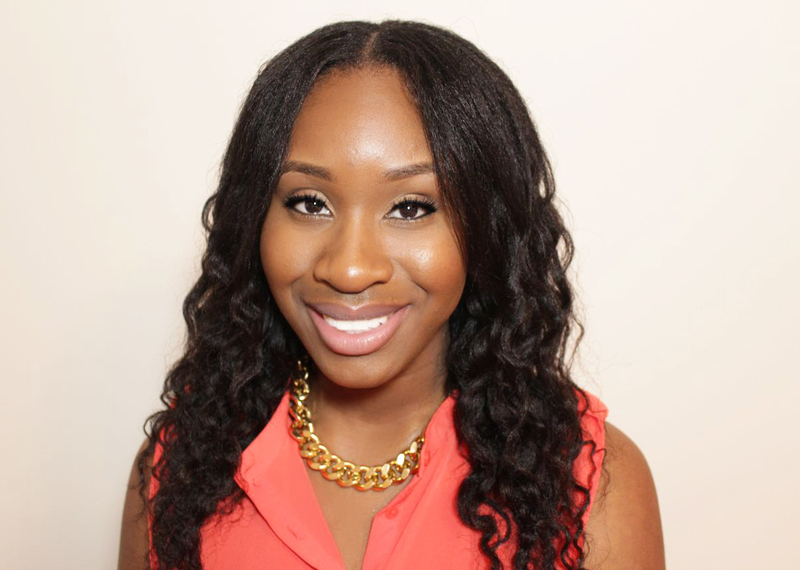 What have you learned about maintaining thicker ends? What tips would you provide those who are looking to thicken up their ends? For my thinner hair ladies, try not to comb your hair every day. This increases breakage! You need every strand of hair to increase the thickness of your hair. 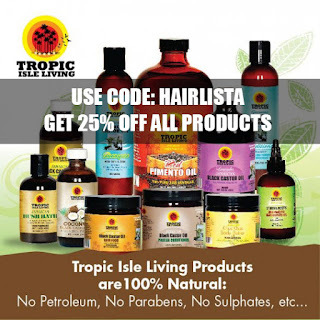 Hurry Get 25% Off ALL Tropic Isle Living Products! The 10th Castor Oil Challenge is set to take place Saturday September 19th 2015! Get your Castor oil ready & stock up!! !